I’ve read the book of Isaiah every December for more than two decades. Despite my familiarity with the text, I’m still surprised by the power and the sharp-as-a-knife cut of the words. In the opening pages of his book of prophecy, Isaiah related a divine vision in agonizing detail. The scenes he saw were deep, true and painful. He couldn’t hold back. He was compelled to tell everyone the future God showed him. “Listen up, world,” Isaiah said. “We’re breaking God’s heart. He’s cared for us like sons and we don’t even know Him. We don’t get Him at all, so we’ve done exactly what He told us not to do, and it’s killing us. Yeah. Literally making us sick, just like He said it would. “Look what a mess we’ve made of our lives. Can’t you see what devastation we’ve caused in our world? Our land? We didn’t think we needed God, so we’ve thrown off His tender watch-care. We’re devastated without Him. If He hadn’t continued to give us the protection we didn’t want, we’d already be gone. “Sure. We’re still rich. We’re still giving big offerings, and we’re still going to church like we always did. Our heart’s not in it, though, and we know it, but we won’t admit it. We’re just doing religion because it’s what we’ve always done on the Sabbath. There’s a lot more, of course, but these words set the theme for Isaiah and the theme of the Advent season. It’s not merely a time of waiting. It’s a time of preparation. More than six hundred years before Jesus’ birth, Isaiah called people to return to God and to prepare their hearts for the One to come. They needed time to get ready for Jesus, and we do, too. 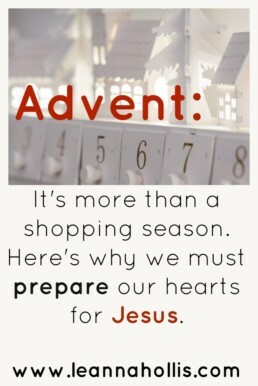 As we begin our progress toward Christmas and our celebration of the birth of our Savior, we have time to get ready. Let’s use the coming days to examine our hearts and prepare them for our Savior. Do we view God as a demanding tyrant or a loving Father? Are our acts of worship merely rote habit or the overflow of a grateful heart? Do we hide a heart full of sin behind the facade of religion or have we allowed God to strip away all the fake until only real faith and love remain? Is our heart ready for Jesus? Is our heart ready for Jesus? If not, we have time. Over the next few weeks, we’ll prepare together. Today, let’s ask God to help us see our hearts the way He sees them and understand Him the way He most desires. Are you interested in helping with the upcoming Massive Packing Party? We’ll pack all the Christmas holiday food for food-insecure students, prepare their Christmas stockings, and pack at least 100 personal hygiene packs for those experiencing homelessness. Join us at the Global Outreach office on Thursday, December 13, at 5:30 pm. Soup provided. If you’d like to help with the homeless outreach supplies, here’s a link to the Homeless Shopping List on Amazon.